Pizza in a new way! 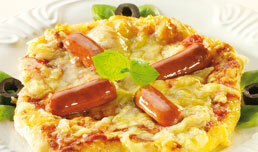 Children’s meals sometimes have to be fun and exciting – let your children decorate their own mini pizza with Robert Cocktail Sausages. Children’s meals sometimes have to be fun and exciting.